Summer is officially over, at least vacation wise. This means that I'm now back on campus for my second year. It doesn't feel much different to be a sophomore but it is good to see some familiar faces like my roommate Ashleigh from last year pictured above. I really believe that this year will be a lot of fun. Not looking forward to homework but I don't think anyone is. Hopefully I'll have a lot more free time to keep you guys posted! I have a new Lush obsession! So last weekend my roommate and I decided to head on over to the mall and Ikea to pick up some stuff for our dorm. I know, I know, I can't believe that this is my last week to be free before I'm back on campus. Since we were at the mall, I decided to stop in Lush to pick up some goodies for my face since I've been having a hard time clearing it up lately. I picked up two fresh face masks since they last about 2-3 weeks each and I'm in love! The first is the cupcake mask. 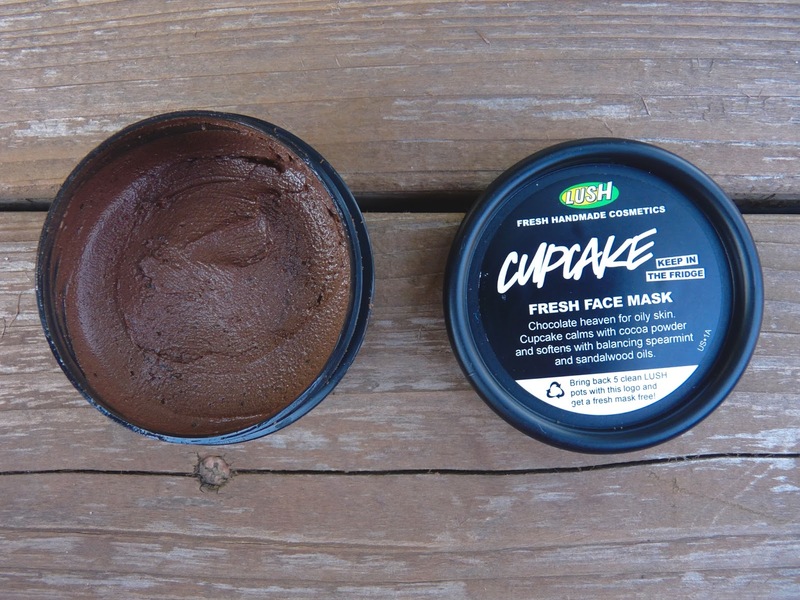 Generally speaking I'm not much of a chocolate fan but this stuff is so great for my face. I like to keep it on a bit longer than the 5-10 minute recommended timing because it's just that awesome. Since it has to be kept in the refrigerator because of its fresh ingredients, the cold feeling when applying it to my face is surprisingly very soothing. Although I have combination skin, my skin can get seriously oily at times and this mask is great for that. It literally vanishes all of the gunk/oil off of my face and I can finally feel at ease. 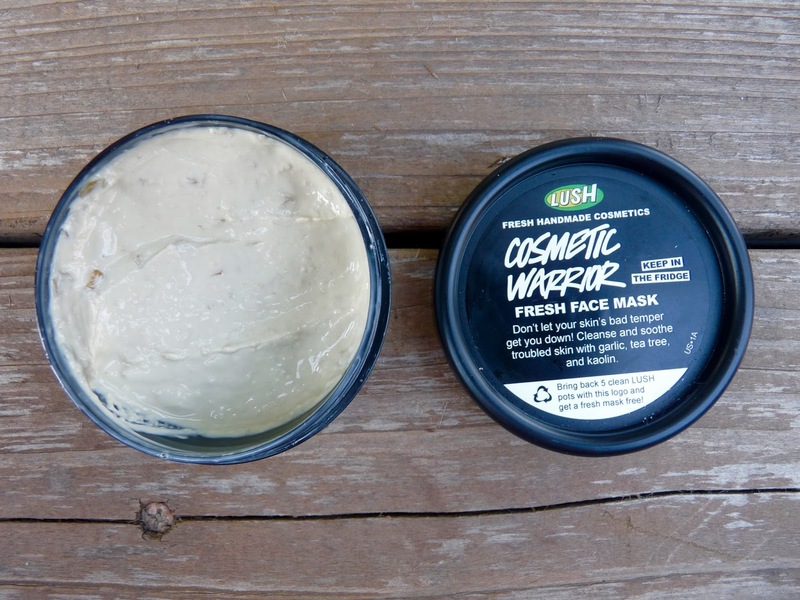 Now the cosmetic warrior mask is one that I picked out for my break outs. It doesn't have the best smell since it has a combination of garlic, tea tree oil and etc but it gets the job done! It didn't clear my face up right away of course but it did calm my skin and made it feel almost like new. I love that it have very little ingredients so I know exactly what I'm putting on my face and it's even great for the sensitive side of my skin as well. You know what else is great about these lovely Lush fresh face masks? 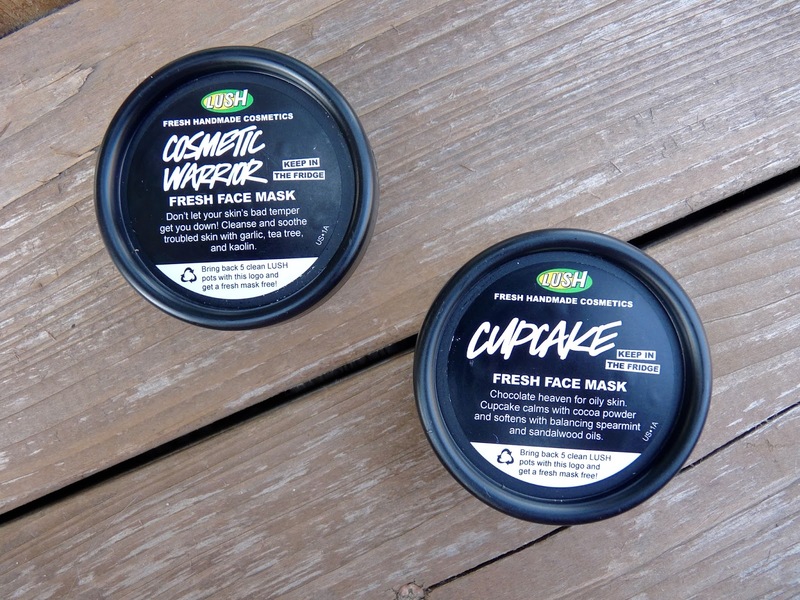 If I bring back 5 clean Lush pots I can score a fresh face mask for free! I love this idea because it's practically a reward for recycling and it's a great deal since one mask typically runs about $6.95+. Now I know it may take me awhile to score a free one since I'll probably only purchase two masks maximum at once but I also can't wait to try them all and all other lovely Lush products! 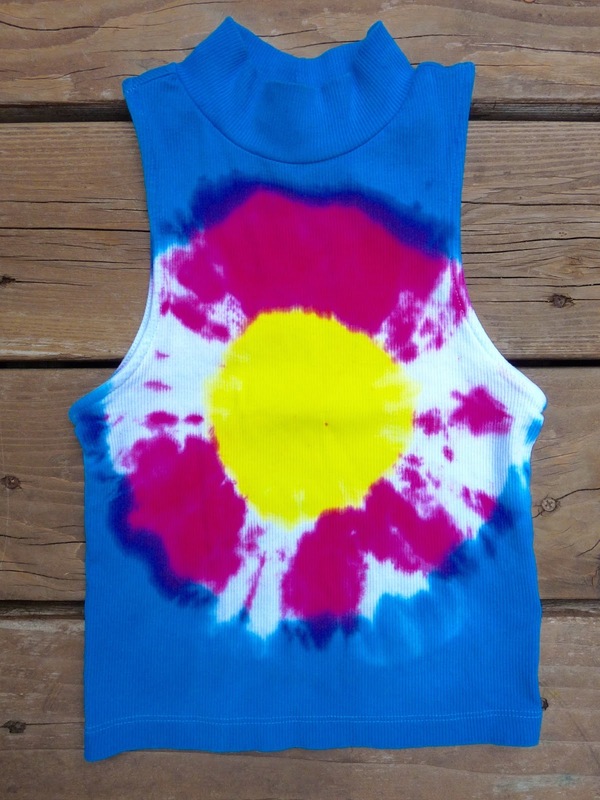 It's Friday and it's the perfect day to make summer tie-dye shirts! Andrew and I picked up a tie-dye kit earlier this week at Michael's and have been waiting for the perfect day to get started. 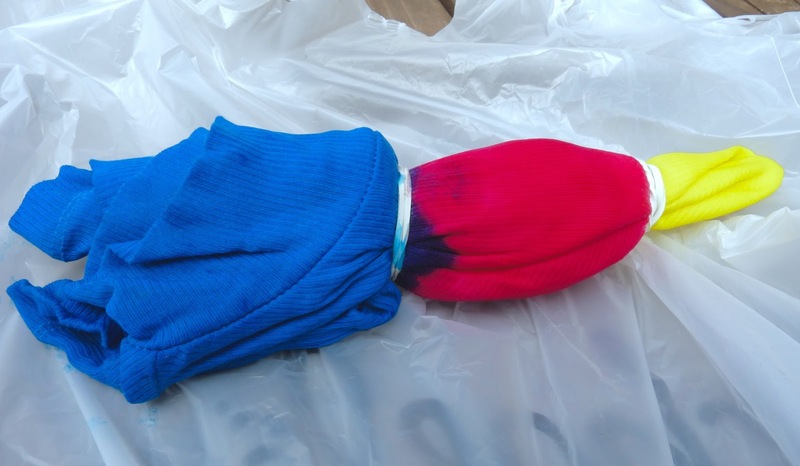 I'm super new with tie-dye so I'm more interested in the fun and not for so much for the perfect shirt result. For my shirt I decided to use a short mock turtleneck top that I found in H&M. I didn't want to use those super oversized basic shirts because I don't find them very flattering and I would actually like to wear my shirt haha! 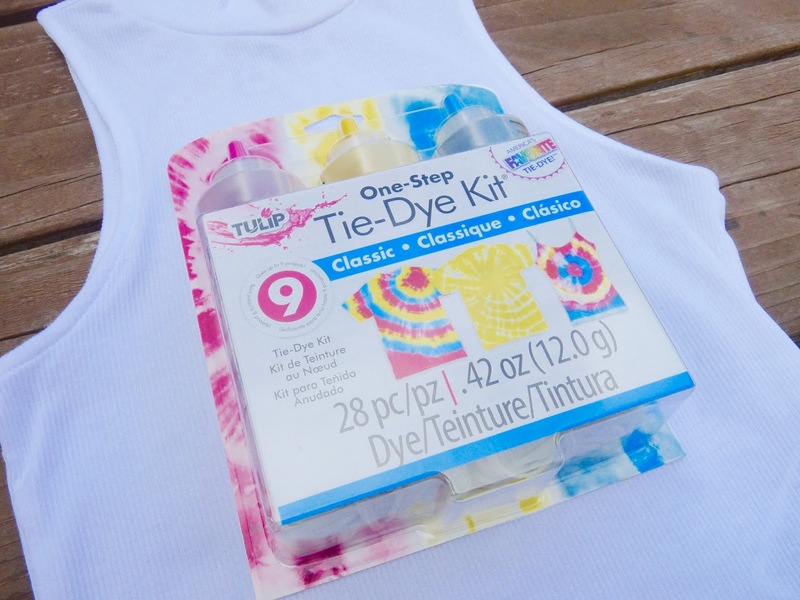 Luckily enough, the kit that we purchased came with a small pamphlet of tie-dye pattern ideas to choose from with step by step instructions. I was really interested in doing the "bullseye" pattern because it seemed simple enough for my newbie skills. As you can see in the picture above, I only had to separate my shirt into three sections by two rubberbands and got to dying right away! Andrew thinks that my result sort of turned out to look a little bit like the Colorado flag which is not what I was aiming for but hey, it can be my story. I must not have done the greatest job with saturating my pink dye because I had tons of leftover white splotches. Overall I had fun and now I have a cute tie-dye shirt to add to my wardrobe. It's August which means summertime is getting closer to coming to an end (sadly) and classes are coming up (boo!). 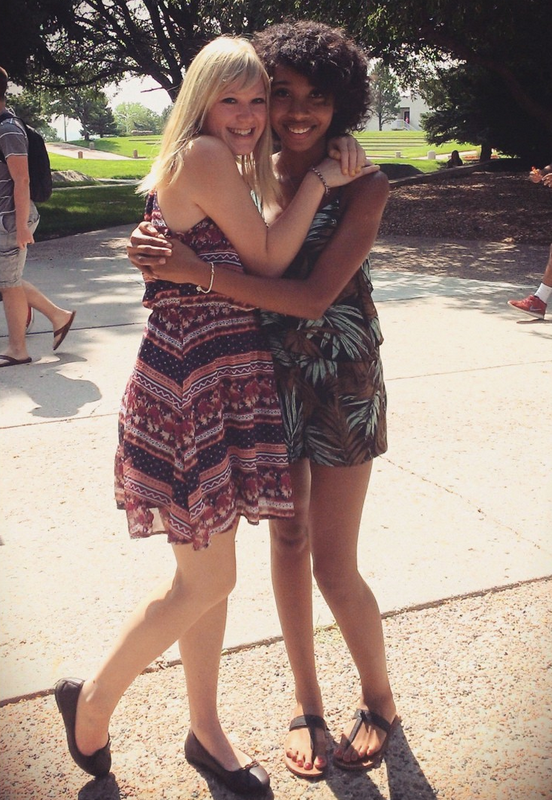 But hey, let's not talk about that and lets talk about how awesome our summers have been while they're lasting! 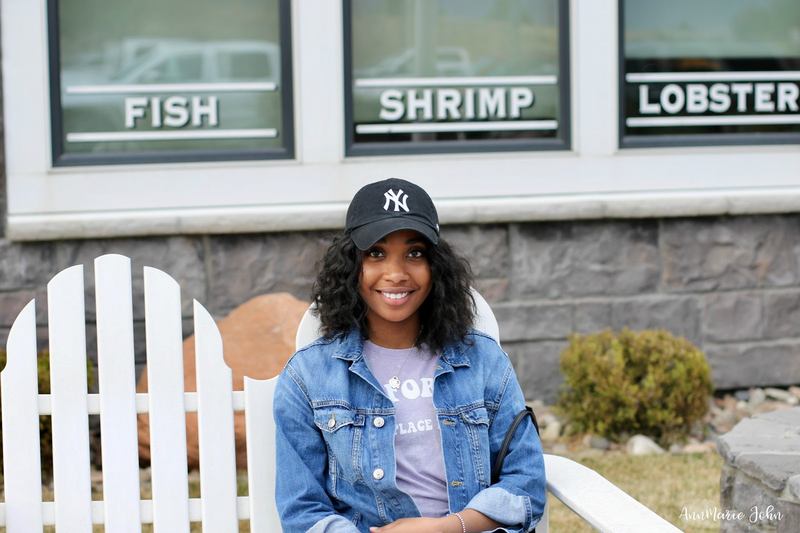 This past summer I did a bit of traveling and made sure to enjoy myself and do tons of relaxing. I do wish that my summer could have been period-free but that was certainly not the case. However, I am glad to admit that U by Kotex always has my back and joined me during my travel months in June and July. 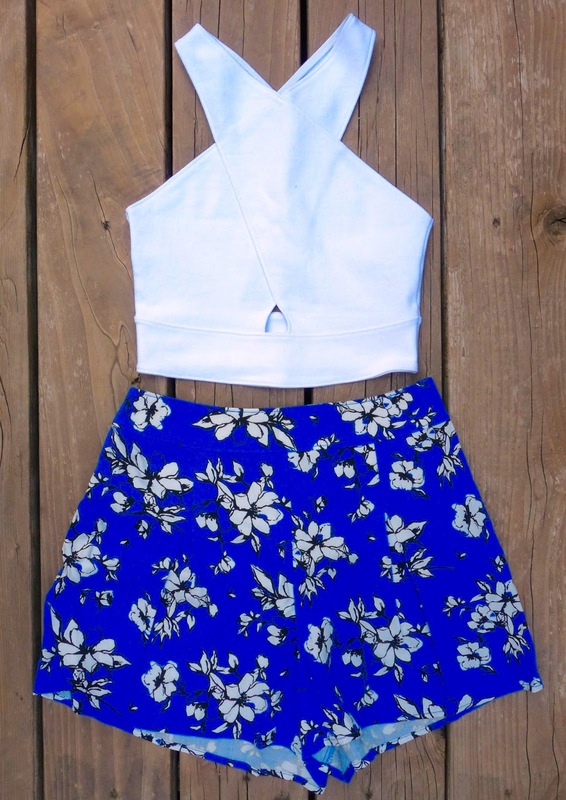 Don't worry, no cute outfits or undies suffered during the process! 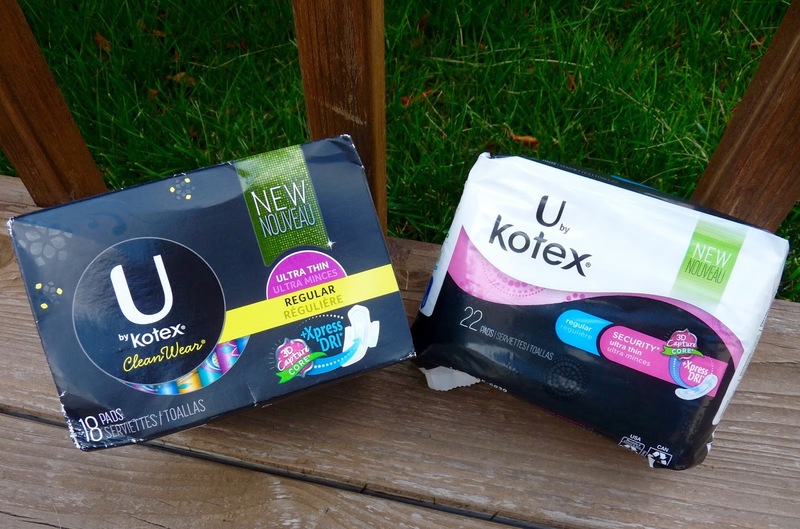 In the past, I've been relying on saving the undies with U by Kotex Cleanwear Ultra Thin Regular Pads but I'm happy to introduce the all new U by Kotex Cleanwear Ultra Thin Regular Pads with 3D Capture Core plus Xpress DRI and U by Kotex Security Ultra Thin Pads plus Xpress DRI pictured above! 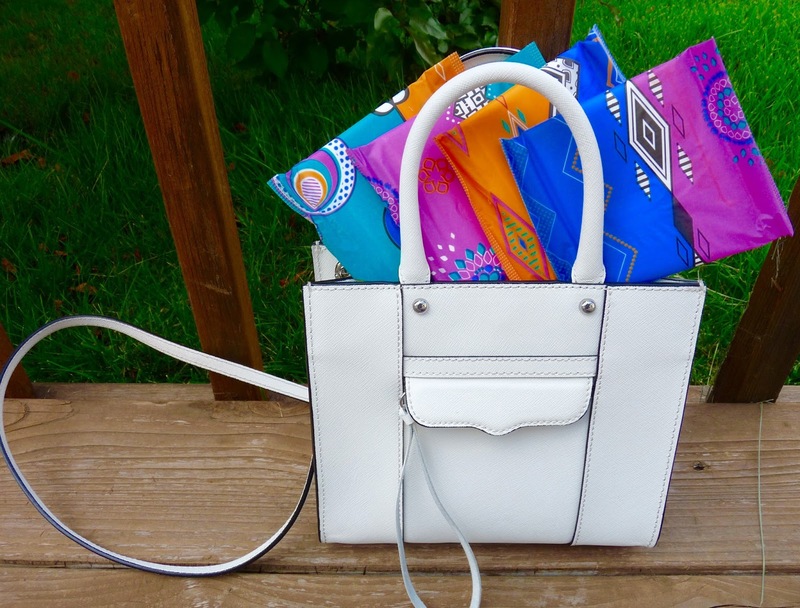 As you all already know, U by Kotex offers a full line of feminine products for periods including pads, liners, and tampons. What's new you may ask? Xpress DRI! The Xpress DRI cover offers crazy fast absorption to help stop leaks. I really like that U by Kotex is always one step ahead when it comes to protecting us and I dearly appreciate that! Knowing your protected is just the half of the battle. Here's a bonus; these new pads come in super cute new designs so you can't miss them in your handbag or practically anywhere! I make sure to keep a couple in my backpack, handbag, car, etc. I love knowing U by Kotex is there for me and they can be for you too! You all can join the quest to become #UnderWarriors and #SavetheUndies by requesting a free sample at their landing page. It's super easy! All you have to do is click the "Get Sample" button and enter your mailing information. Your samples will be on their way so spread the word!